Confucius was a sage. A sage is a very wise person. Although he was not well known when he was alive, Confucius is now the most remembered person from ancient China. Confucius was born in 551BCE, in a period of Chinese history known as the Age of Warring States. It was a period that saw China divided into many small kingdoms. The local rulers fought one another and were often cruel to their people. Confucius advised many leaders that peace and justice was not possible without good government, and that good government was possible only through good leaders. Confucius was concerned with how people treated one another. The great sage said, “What you do not want done to yourself, do not do to others.” He stressed that any person, rich or poor, could become superior. The Chinese word jen refers to the kindness and love each person should have for all others and for nature. Confucius taught that the person who develops jen becomes superior. Confucius also taught that government officials should not use family connections to get their positions. The officials, he said, should instead earn their jobs through education and talent. Many years after Confucius died, China set up an examination system that lasted over 1300 years. Students had to show that they read and wrote well. They also had to demonstrate their knowledge of Confucius and his philosophy. Although the Confucian examination system is no longer used in China, government workers do have to pass tests that are inspired by the old Confucian system. Despite his obscure life, Confucius left an amazing legacy. A legacy is something handed down from the past. Confucius never wrote down his philosophy, but he made an enormous impact on many people. 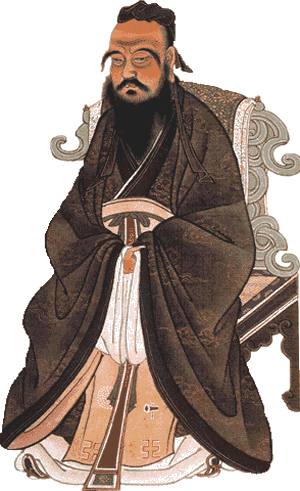 His students compiled a book known as the Analects after Confucius died. The Analects became the model for official and personal behavior for many Chinese people. Many governments have tried to suppress the teachings of Confucius, but his philosophy remains an important part of Chinese culture to this day. Mr. Donn has an excellent website that includes a section on China. Confucius (551–479 BC) is the most remembered person from ancient China. 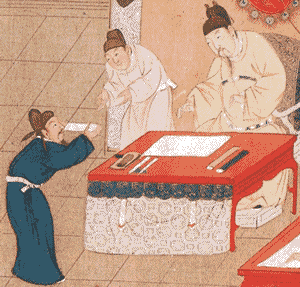 Many years after Confucius died, Chinese students were required to demonstrate that they could read and write well. 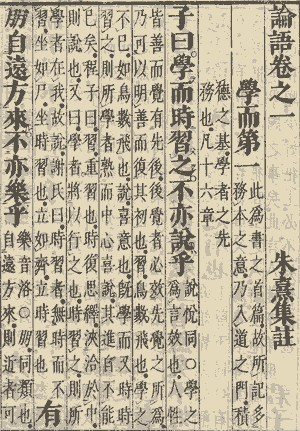 The exams were based on Confucius’ philosophy and were used by the Chinese government for over 1300 years. The Analects of Confucius is a compilation of sayings and ideas of the Chinese sage written by his students. This entry was posted in Chinese History. Bookmark the permalink.